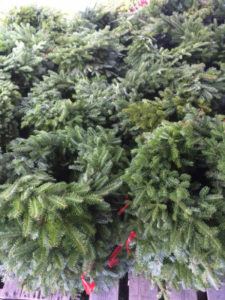 Machias Bay Wreath offer the finest balsam wreaths and decorations from Downeast Maine. All of our products are offered wholesale and can be trucked to your location or picked up at ours. We have an attractive discount program based on volume purchased. Drop us a note with your requirements and we’ll provide you with a custom quote.